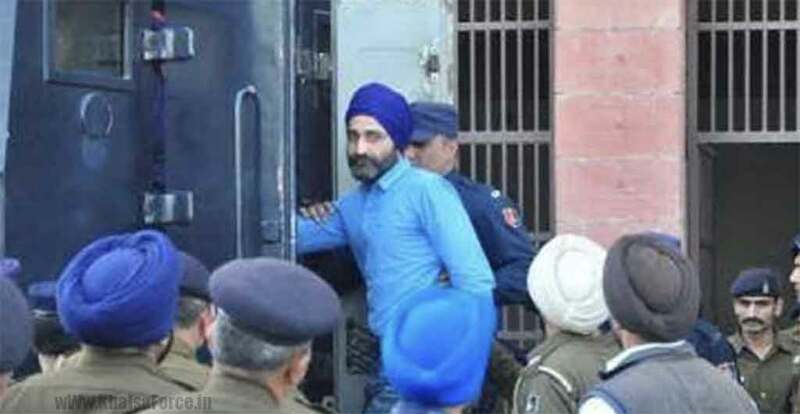 Chandigarh: As per the media reports Sikh political prisoner Bhai Jagtar Singh Tara here on June 16th underwent a MRI scan in connection to his persisting back pain problem at Govt Medical College and Hospital (GMCH) sector-32. Since he did not have permission to get an MRI done, Burail Jail medical authorities were giving him pain killers. While interacting with local media channel solicitor of Bhai Jagtar Singh Tara Advocate Simranjit Singh said that Bhai Jagtar Singh Tara was taken to the hospital in sector 32 with the permission of Union Territory’s Home Secretary. ”Due to imposition of section 268 of Cr.P.C (Code of Criminal Procedure) on Bhai Jagtar Singh Tara, the Burail jail authorities can’t permit him to go outside without the permission of UT’s Home Secretary. “The Home Secretary of Union Territory had permitted Burail Jail authorities to complete MRI within an hour” he adds to his statement.